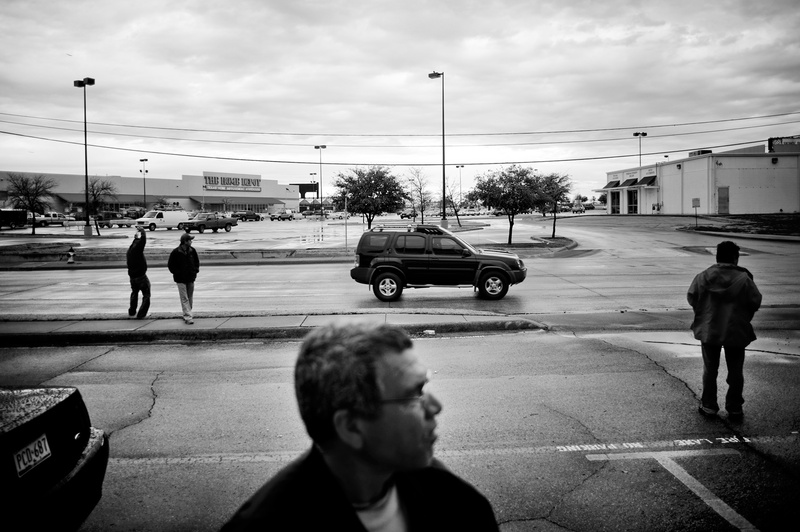 Brandon Thibodeaux -- (Irving, TX - 02.09.2009) -- Day laborers gather near a well known "work corner", in Irving, TX, on Monday, January 09, 2009. The men gather seven days a week, pacing the parking lot, or conversing in small huddles, all the while keeping an eye out for sign of a slowing truck or car holding the promise of work. Most claim that they stand to make an average of $80 a day, though one is lucky to get picked up more than twice a week.